Kate Anthony was born in the Midlands, living initially close to Stratford on Avon and then in Shirley, a small suburb of Birmingham, famed only for its Chinese restaurant ‘The Shirley Temple.’ Her family then moved to Windsor, Berkshire and after graduating, Kate spent twenty-five years living in Central London. During her twenties, Kate became a residential social worker, working with young offenders and then adults with learning disabilities. This experience was fun, challenging and chaotic and despite having taken place over twenty years ago, it is the vivid memories of these years that Kate found herself drawing on when writing her debut novel. 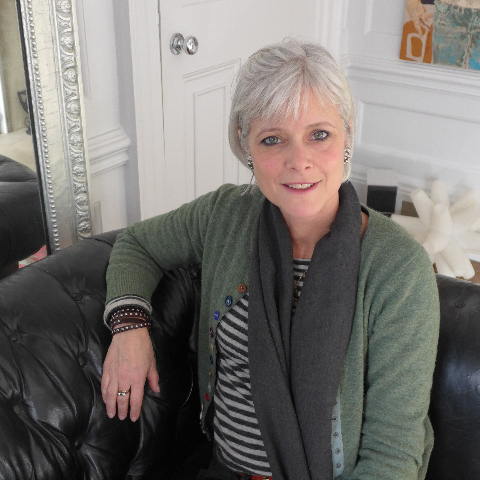 Kate worked for the BBC, Channel 4 and independent production company Hat Trick on groundbreaking shows such as ‘Whose Line Is It Anyway?’ and ‘Clive Anderson Talks Back.’ She also spent many years working with Clive James on his Saturday night round-ups of news and world television, and his ‘Postcard’ series of profiles of major cities around the world. On the advice of a friend to ‘swallow a frog,’ Kate took a career leap in the late Nineties and began to produce drama for television and a long association with Tiger Aspect Productions began. On moving with her family to Brighton four years ago, Kate decided it was ‘now or never’ and began to write bits and bobs for friends and family. 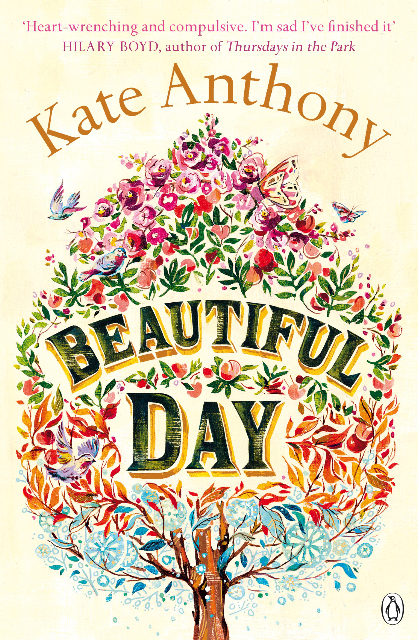 Eventually, thanks to the encouragement of agent, Georgia Garrett, her first novel ‘Beautiful Day’ was born and published by Penguin in April 2014. Kate is now working on her second novel. Background in television production – drama and comedy – and social work – special needs and young offenders. Mother of four including twins. Links to the Midlands, Yorkshire, Notting Hill and Brighton. Passionate about libraries and advocacy issues for people with learning disabilities. Keep pigs.